September is the time of the year when it becomes difficult to walk around the garden without becoming entangled in spider webs. 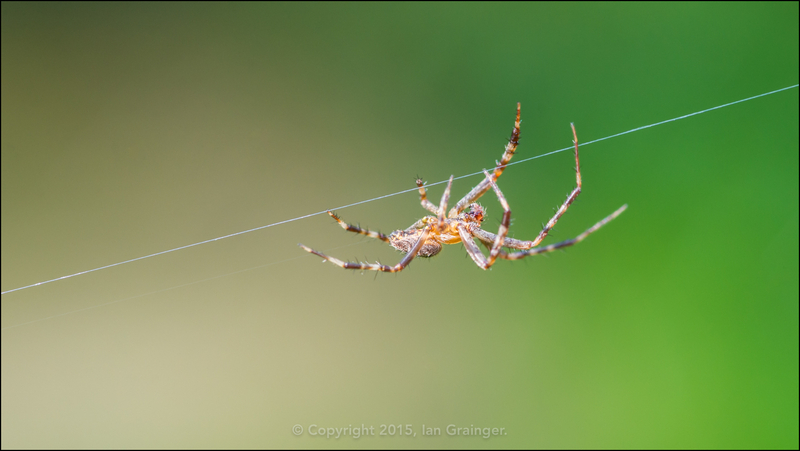 The main culprit in the UK is usually the very appropriately named Garden Spider (Araneus diadematus). Alternative names include the Cross Spider, because the spider sports a distinctive cross on its back, and the Orb Weaver, because of the beautiful orb webs it spins. The industrious little spider weaves a new web every night, ready to catch its prey the following day. The webs generally litter the garden up until November, when the first frosts come, and unfortunately kill off the spiders. 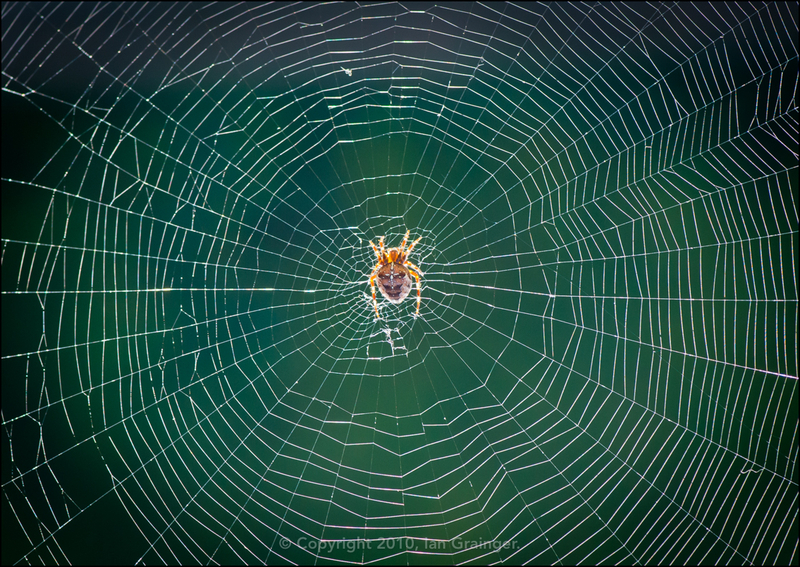 Before this happens, the female spider will have built a cocoon from her silk, and will have laid eggs. The cocoon protects the eggs from the cold winter weather, and the new spiderlings will hatch in spring the following year.